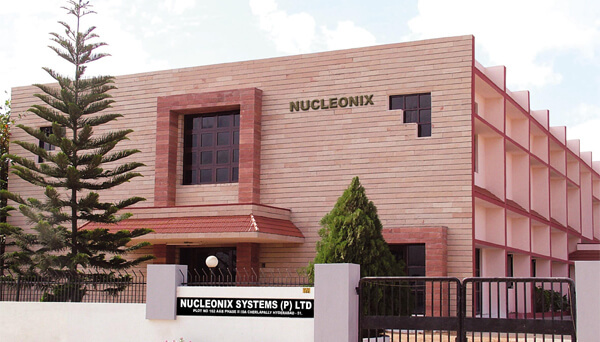 Nucleonix Systems founded in the year 1990 is a well-recognized and established company, engaged in design, development, manufacturing and supplying of nuclear radiation measuring & allied Instrumentation. It carries rich product design & manufacturing experience. Nucleonix Systems offers instrumentation with state-of-art electronic circuit designs with built-in powerful embedded code to fulfill required instrument functionality, fault diagnostics features, user specific calculations / report generation. Many of these products have capability of PC communication through Serial Port for data transfer and networking operation. Some of these products are PC based /controlled systems. Nucleonix Systems has well established production facilities in a spacious building with a built-up area of 16,000 sq. feet. It has a compact development team of dedicated Engineers. This company is primarily established to meet the partial requirements of the above said instrumentation in the following market segments- University Education & Research, Nuclear Research & Industry , Cancer Hospitals, Atomic Mineral Exploration & Mining Industry / Environmental Radiation Monitoring / Measurements, Defence / Home Land Security / Steel & Forging Industry / Testing Labs. Many of these products are manufactured confirming to ANSI N42.17A to meet performance specifications. Also these products are EMI/EMC compliant as per IEC61000; firmware is tested based on IEEE STD: 1012, in respect of these products. Further all portable radiation monitors are compliant & are offered with marking. such as G.M. Detectors, Scintillation Detectors / Probes, Alpha Probes, Beta-gamma probes, plastic scintillator based Beta Probes, NaI detector based gamma probes, Neutron detector probe with 9” moderator etc. which include both Integral and NIM Standard Modular systems such as G.M. Counting Systems, Alpha, Beta & Gamma Counting Systems, Gamma Ray Spectrometers, Low background Beta counting system, Dual scintillator based Radiation counting system for simultaneous counting of alpha & Beta in a given sample etc. Some of these products are also manufactured to meet performance specification conforming to ANSI N42. 17A & IEC standards. such as NIM Standard Bins & Power Supplies, MINIM Bins & Power Supplies, NIM Modules such as Detector Bias, High Voltage Units, Linear Amplifier, Spectroscopy Amplifiers, Single Channel / Counter Timers (Single, Dual & Six Channel) and other special functional modules such as Coincidence analyzer, Log-Count Rate meter & Alarms unit etc. These include Radiation survey meters & Contamination Monitors for measurement of Alpha, Beta, Gamma & Neutron radiation fields, using variety of detector probes, offered in different ranges. These are type tested to meet ANSI & IEC standards for performance specifications. Some of these meters are offered with — marking. Portable radiation monitors also include products, specially, designed to measure low level Radioactive Contamination (RaC) in castings / steel products / Engineering components etc. Nucleonix systems manufactures wide range of Area Gamma Monitors to measure from very low level, dose rates such as 1µR/ hr up to 1000 R/hr, using variety of detectors. All these Area Gamma Monitors are manufactured confirming to ANSI N42.17A, standards to meet performance specifications. They are also EMI/EMC compliant as per IEC61000. Structural designs including accessories are seismic qualified confirming to IEEE-344STD. Instrument enclosure & detector probe assembly is IP-54 compliant. 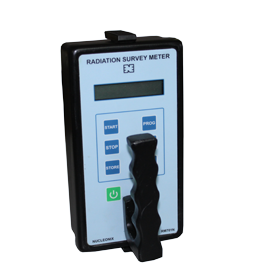 Units are radiation tolerant up to 104 R, plus firmware is tested based on IEEE Std: 1012. Nucleonix systems has introduced recently Nex_Gen Area gamma monitors which are very compact, with state of art designs using SOC based SBC with TFT display for the ‘Health care segment’. 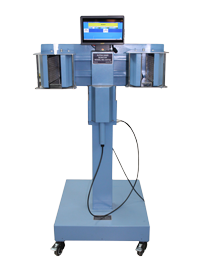 Also we have introduced complete package of Area monitors for a medical cyclotron facility. These include Stack monitoring system consisting of GM & scintillation detector based monitors and an Air flow meter. Designed / manufactured by Nucleonix systems include Beta-Gamma Hand Foot and clothing Monitors, Alpha hand monitors with state of art design features using single board microcontroller board, color graphic display to show up mimic icons for contamination of Hand, foot & clothing etc., Built-in RS485/Ethernet connectivity, multi-lingual audio message annunciation features etc. Additional products in this category include- Palm monitors & Foot monitors to check for palm and foot contamination. Further most recent developments include offering these products with state of art electronic designs with SOC based SBC with TFT displays with powerful embedded code & fault diagnostics plus Dual scintillator based Alpha & Beta-gamma Hand, foot & clothing monitor for simultaneous measurement of Alpha –Beta contamination in one go. The other personnel monitors manufactured include – Whole body Portal Monitors, TLD Badge Readers, Pocket Dosimeters with dose records data management software, Alpha and Beta Contamination Monitors (Friskers) etc. Most of these products are manufacture conforming to ANSI N.17A, IEC Standards and meet performance specifications. Continuous air, stack & duct monitors are manufactured for monitoring Alpha, Beta, and Krypton & Iodine in atmospheric air in radiochemical & reprocessing facilities & reactor buildings. Nucleonix systems offer these systems with state of art electronic design features with built-in RS485/Ethernet port for networking. These products are type tested & meet performance specifications as per ANSI / IEC standards. Most recent development includes Dual scintillator based Alpha & Beta continuous air monitor, which measures simultaneously both Alpha and Beta particulate activity in the atmosphere with minimal cross talk. include Data Communication Products (Instrument to PC) and Networking software for Area Monitors such as ‘Radgrid’ through RS485 network / Ethernet and other networking software for counting systems such as ‘Count Net’ etc. Software tutors for G.M experiments, experiments with Gamma Ray spectrometer & MCA. Nucleonix Systems manufactures the following products based on the technology received from Bhabha Atomic Research Center, a premier Nuclear Research Institute in India. Nucleonix systems’ manufactures a few types of products based on the technology, received from DRDO. These products include-RPL Reader Mark-II, RADMAC, ACU etc. Nucleonix systems on its own, has developed and supplied a few types of products based on in-house R&D capability. Some of these include –Integrated CBRN detection system, Radiation Survey meter, Contamination monitor, Area gamma monitor, TLD badge Reader for Naval platforms, Truck monitoring system, Micro-R-Survey meter etc. detection solutions for the following platforms/applications. Integrated NBC / CBRN Solutions from Nucleonix Systems are offered in various configurations to make them Scalable from UAV platforms to Large platforms like Ships/ Aircraft carriers. Design approach is versatile and can be adapted for integration in various configurations to suit requirements of Recce vehicles, fixed installations, airborne platforms, naval systems and VVIP/High Security installations. We can also undertake design and development to cater to the above requirements. Nucleonix Systems is dedicated for supplying the most reliable, high quality products/ solution with best possible designs. ‘Nucleonix systems’ has Radiation Calibration Labs approved by Bhabha Atomic Research Centre which provides calibration services apart from using this facility for calibrating all the Radiation Monitors manufactured in-house. Nucleonix Systems is dedicated for supplying the most reliable, quality instrumentation with best possible designs. At Nucleonix we are constantly striving and are committed to keep pace with the technological revolution to offer the latest technology based products. Nucleonix Systems can undertake design and development of new projects /products & offer Nuclear Instrumentation to user specific requirements. Nucleonix Systems has a few products which are not listed in the website or catalog, or you may have specific requirements which are not met by listed products. In all such cases please revert back to us with your application to enable us to offer you a solution. Nucleonix Systems is a support oriented company which offers instrumentation solutions and also cares to provide excellent customer support. Mr. J. Narender Reddy, Founder Director brings in 30 years of dedicated management and technical experience in the field of Nuclear Instrumentation and sciences. He holds a B.E. 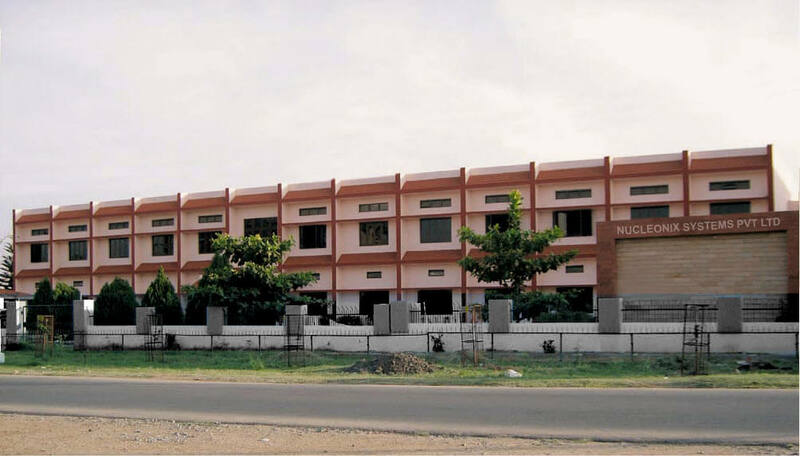 degree in Electronics and Communication Engineering from University of Mysore, M.Tech. degree in Advanced Electronics from J.N. Technological University, Hyderabad. He has worked for “Electronics Corporation of India Limited”, an Establishment of Department of Atomic Energy for about 9 years in the field of Nuclear Instrumentation. He founded Nucleonix Systems Pvt Ltd (NSPL) in the year 1990, and has been responsible for the growth of NSPL over the last few decades into a committed, well-known and respected organization in the field of nuclear instrumentation in India with a strong R&D and technical support team.He has seen through several projects and has been responsible for indigenous design & development of several first-of-its-kind products in India conforming to international standards. 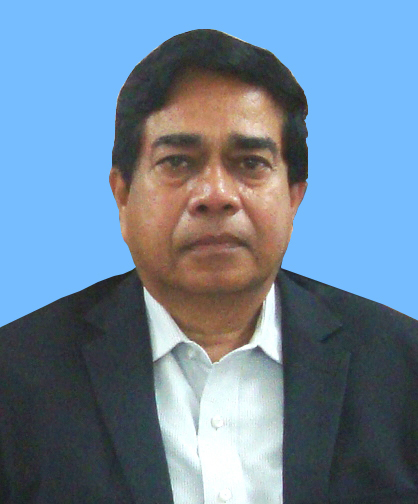 He has presented more than fifteen technical papers in various International / National Symposia / Seminars and workshops, conducted by Department of Atomic Energy establishments such as Bhabha Atomic Research Centre, Indira Gandhi Centre for Atomic Research and other universities and research establishments in the country.He has authored a few technical publications in books and Journals. Nucleonix systems has received some of the prestigious awards under his leadership which include ‘INS Industrial excellence Award’ from Indian Nuclear Society, Mumbai for the year 2014,Dr.Juneja Award for Creativity and Innovation in MSME for the year 2014 from All India Management Association(AIMA), Delhi. Also Mr.J.Narender Reddy was conferred life time Award by ‘Luminescence society of India’ on 11th Jan, 2017 for his contributions for the development of Instrumentation for Luminescence studies & research. Nucleonix Systems also received ‘Certificate of Merit’ for Excellence in Innovation from ELCINA in 2017. Mr.J. Dheeraj Reddy has over 15 years of technical expertise in Research & Development of several products while working for NSPL. He holds a Bachelor’s degree in Electronics & Communication Engineering from J.N. 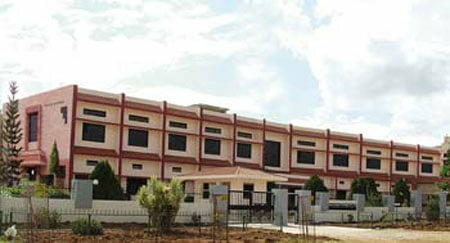 Technology University, Hyderabad. Since joining NSPL in 1999, he has significantly contributed to the development of many new products for the DAE, Defense, Hospitals, Nuclear Education segments. His contribution in system design, hardware and firmware design has led to rapid product developments across various market segments in a short span of time. He has developed innovative and first-of-its-kind instruments in the country. He has authored/co-authored about several technical papers in Nuclear Instrumentation presented in various seminars / symposia across the country. Mr. J. Nishanth Reddy brings 17 years of business management and technical experience built upon a solid educational foundation. He earned an MS in Nuclear Engineering from University of Michigan, Ann Arbor, USA and a BS in Instrumentation Engineering from Osmania University, Hyderabad, India. He has led several large-scale software / embedded development projects where he has operated in the roles of Project Manager, Lead Business Analyst, Chief Systems/Software Architect. Mr.Nishanth is the founder/co-founder of multiple companies – Elite Force Ltd, USA, Nucleonix Biometric Solutions Division, India, NxID Conin Technologies, India. He is the founder trustee of 2 Social service organizations – “Dharma Seva” and “Young India”. At Nucleonix Systems Pvt Ltd, he has been playing an important role in development of Software and internal processes & planning. He has presented two international technical papers. He has international business experience in USA, Africa and Asia. He brings business acumen and industry knowledge that covers solutions for Nuclear Education / Research, Nuclear Power, Cancer Hospitals, Nuclear Industrial applications, Mining, Steel, Defense and other segments. He is a Life member in Scientific & Professional bodies such as: Indian Society for Radiation Physics (ISRP), Indian Association for Radiation Protection (IARP), Indian Nuclear Society (INS), Association of Medical Physicist of India (AMPI), and Luminescence Society of India (LSI). 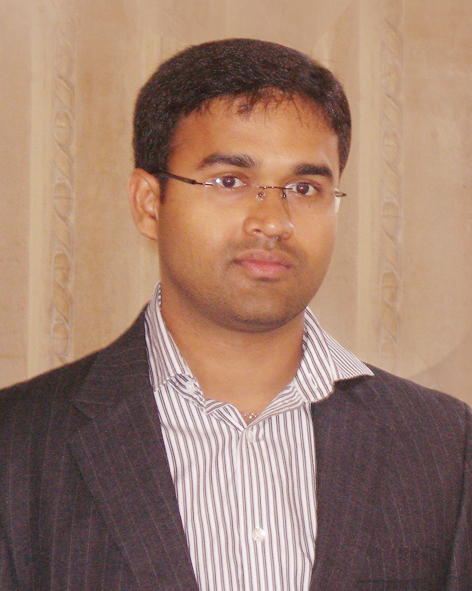 Mr. Dr.M.S.R Murthy obtained M.Sc. & Ph.D. Degrees in Nuclear Physics from Andhra University, Vishakhapatnam. 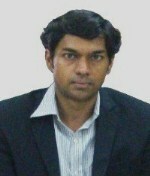 To his credit, he had published 16 Research Papers in reputed National & International Journals. 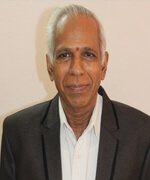 He had worked for Electronics Corporation of India (ECIL) for a period of 32 Years in the fields of R&D, Production and Marketing of Nuclear Instrumentation including Nuclear Industrial Equipment. After retirement from ECIL, he joined Nucleonix System Pvt. Ltd in 2010, as General Manager and is rendering support to R&D Production and Marketing activities. He is instrumental in the preparation of Experimental Manuals pertaining to G.M Counting & Gamma Ray Spectrometer Systems. He is responsible for addressing all customer related problems, and for providing sales / servicing / technical information to customers.